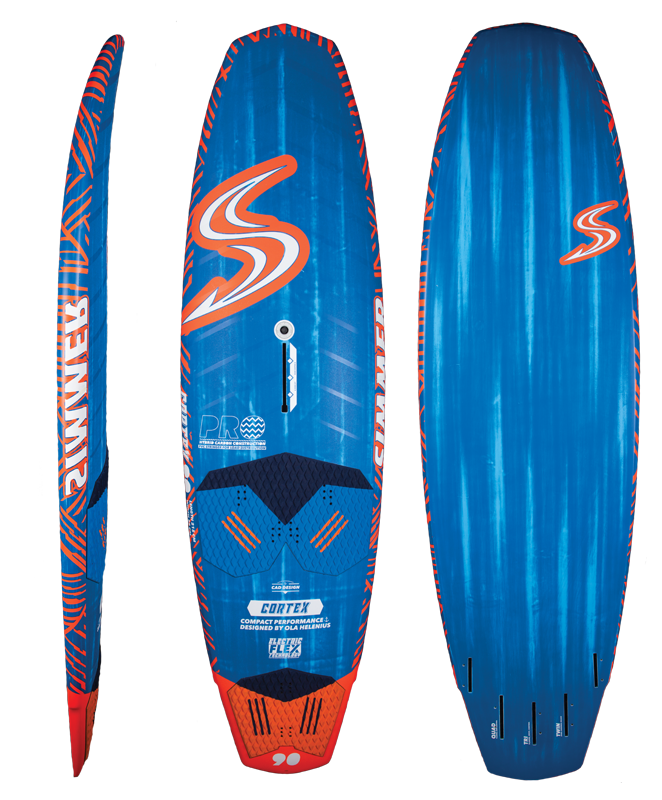 Designed by the legendary Italian shaper Aurelio Verdi who has over 20 years experience designing market leading slalom boards. 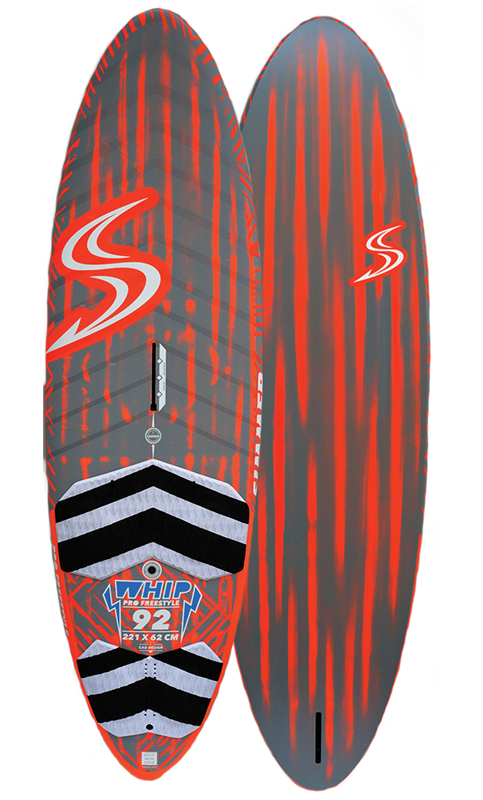 In the past 5 years his boards have won more Mens PWA Slalom Titles than any other shaper. 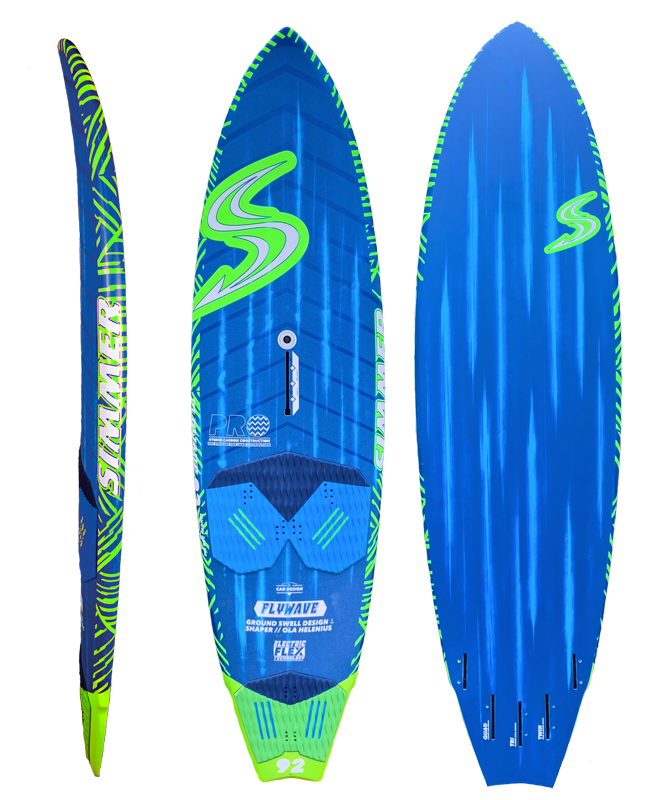 The Simmer 3XS features some radical shaping concepts to provide a perfect balance between control extreme acceleration and top-end speed. 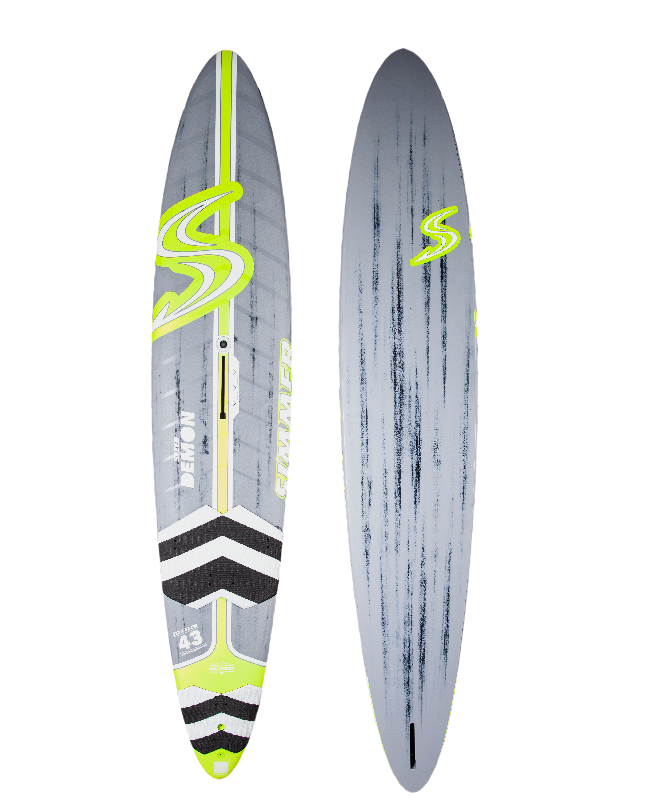 All necessary to win any slalom race. 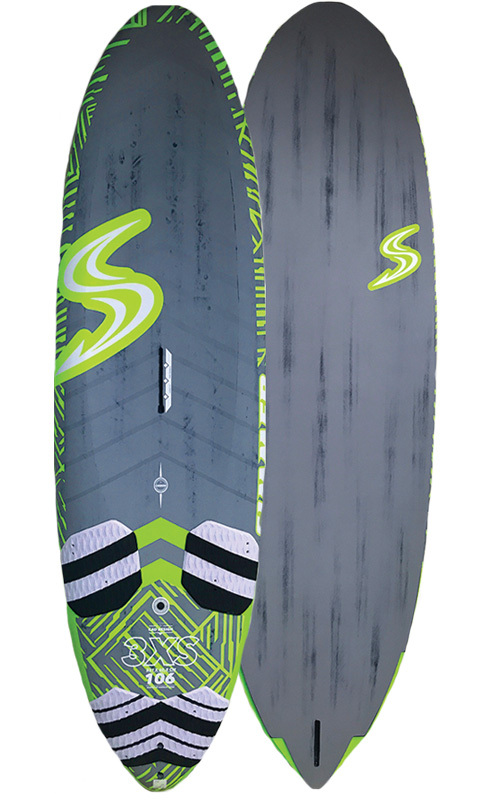 The outline is crafted to give to the board maximum control in all conditions. 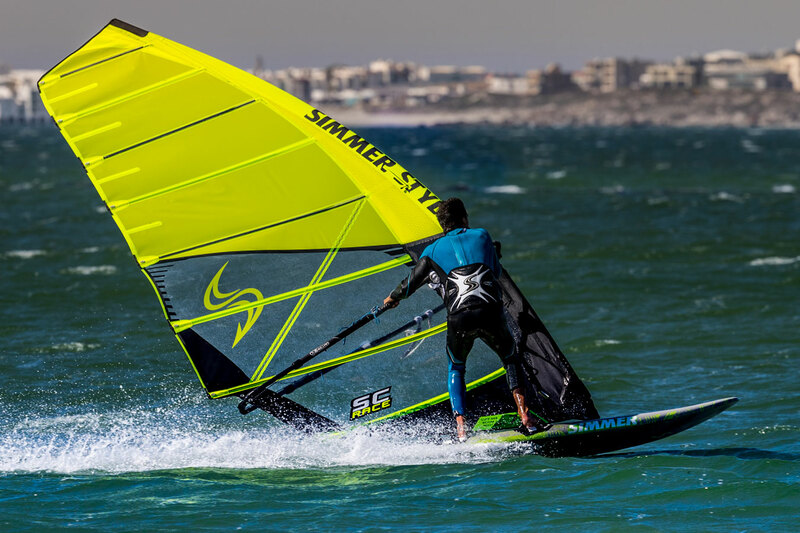 With a step tail configuration the 3XS jibes extremely smoothly and re-starts quickly while also maintaining control in high speeds. The outline becomes more parallel towards the middle to keep a wider nose which is important to generate early planing. 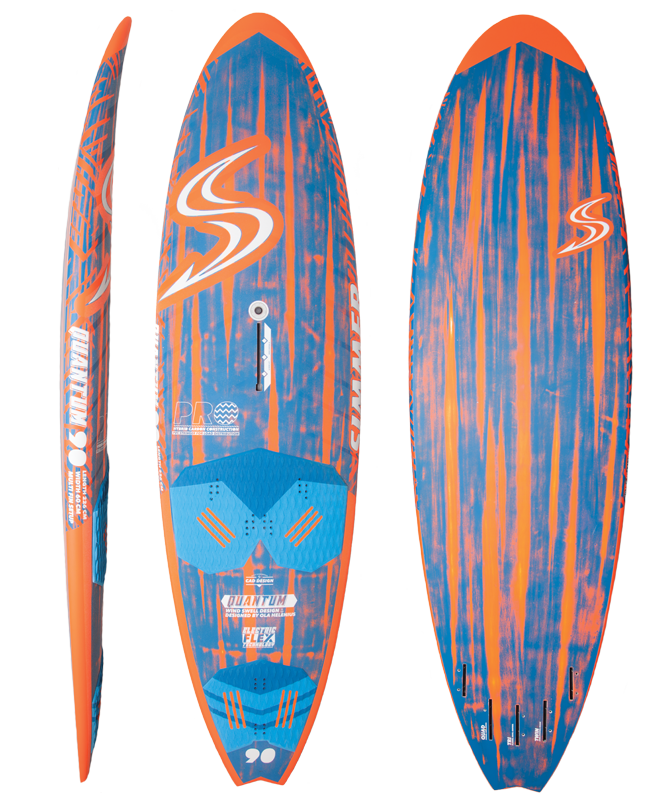 The carefully constructed rocker-line is crafted for the highest top speed possible and superb release under the foot. Each size features a unique rocker-line and volume distribution. We have done extensive testing in all types of conditions in order to achieve the unique feeling with each of the sizes. They are extremely fast and remain controlled in all conditions. 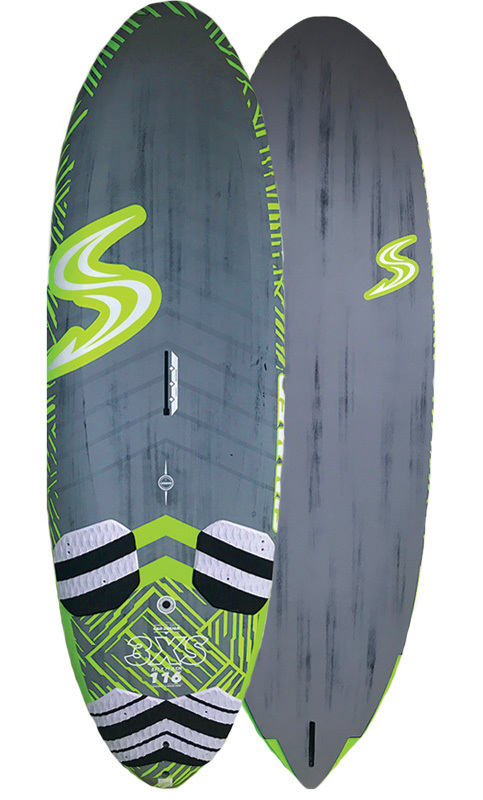 The dual step cut-away shapes reduces the water contact area while producing the same lift, while the fin gains traction and the board locks on to its fin. Effectively the tail can handle all the power you can throw at it. 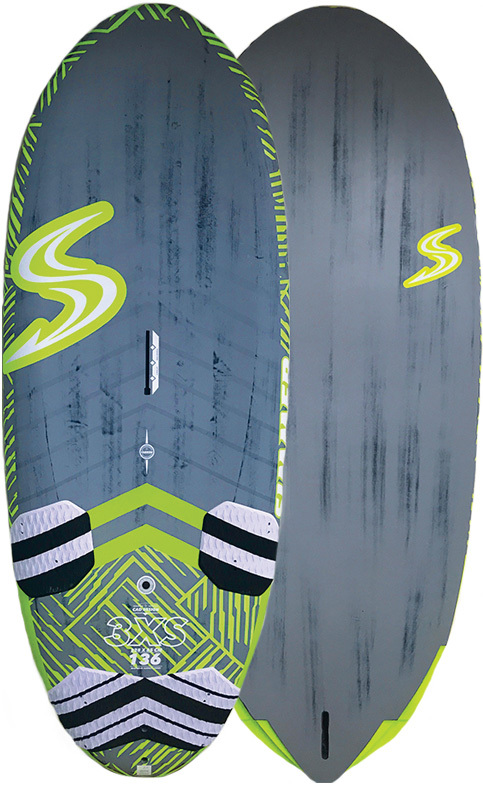 Minimal drag for maximum speed, with maintained control. 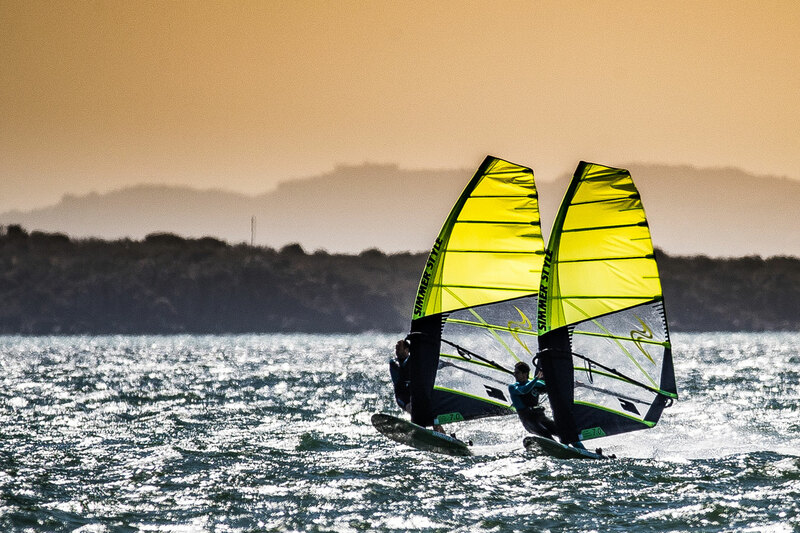 - V from tail to nose with a subtle double concave. 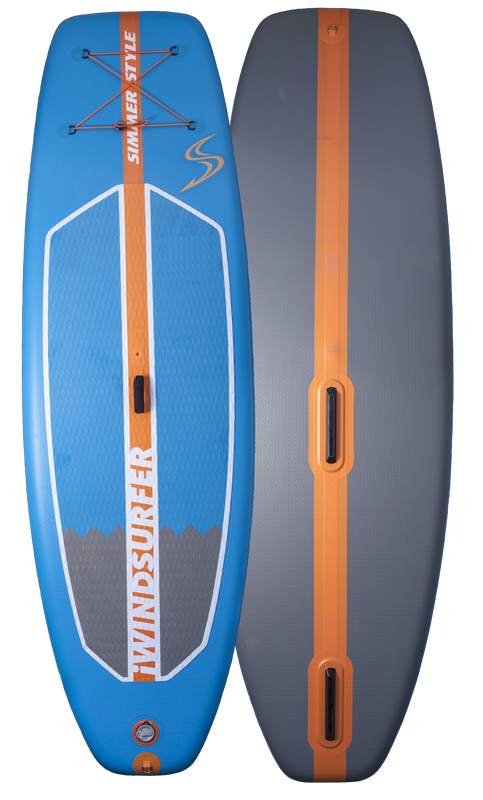 - Parallel outline with a rounded tail to make the boards really efficient. 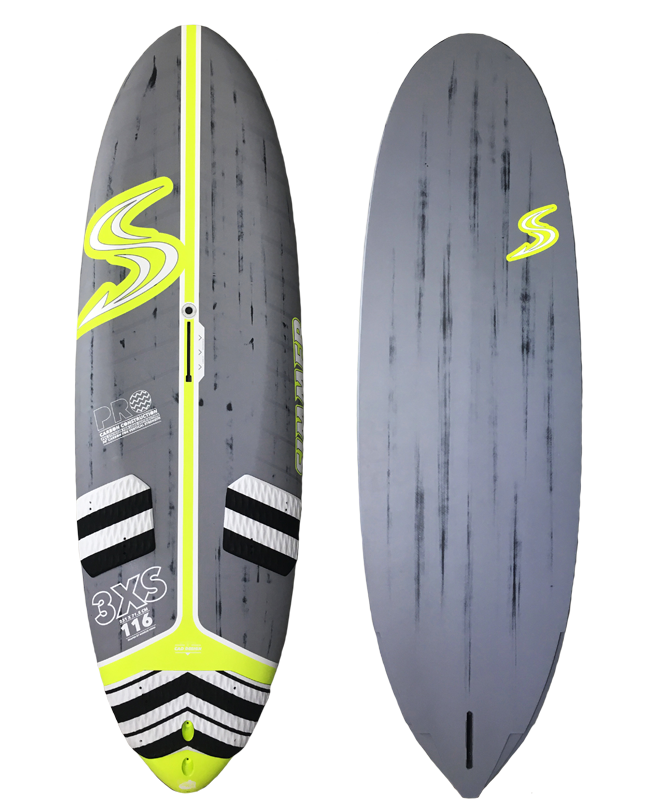 - Deck concave more forward focused than other boards because the concave is in balance with the flat section of the rocker curve in the bottom. 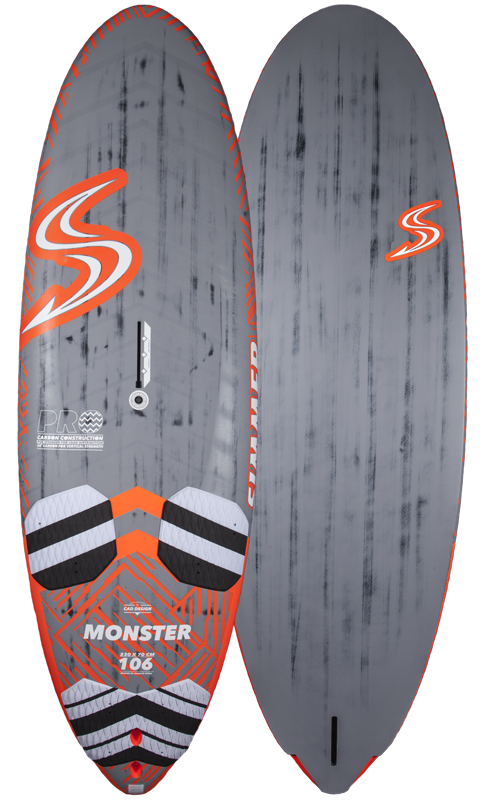 - Deck concave for stiffness and added control. 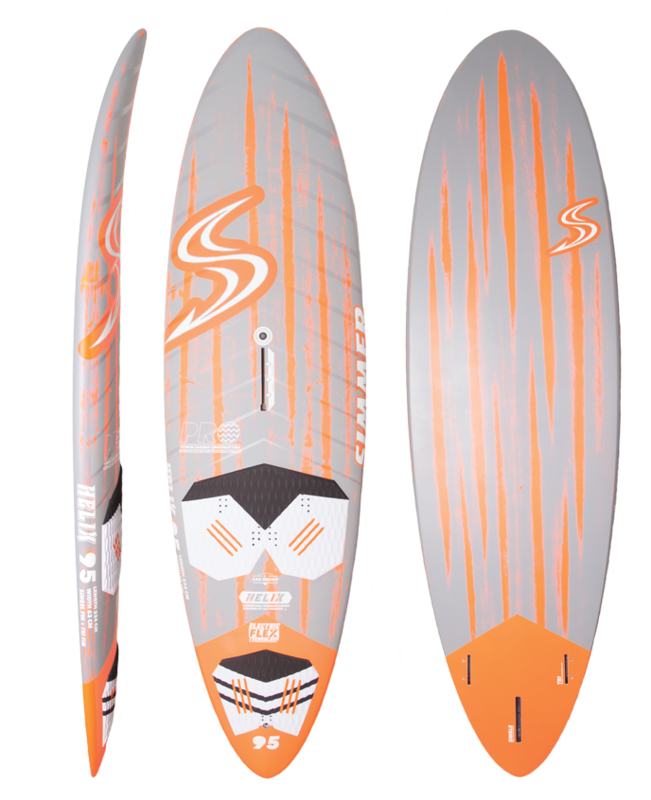 - Due the to rocker line and deck concave the 96 has a longer rail in the water, which effectively makes the boards faster with more control. 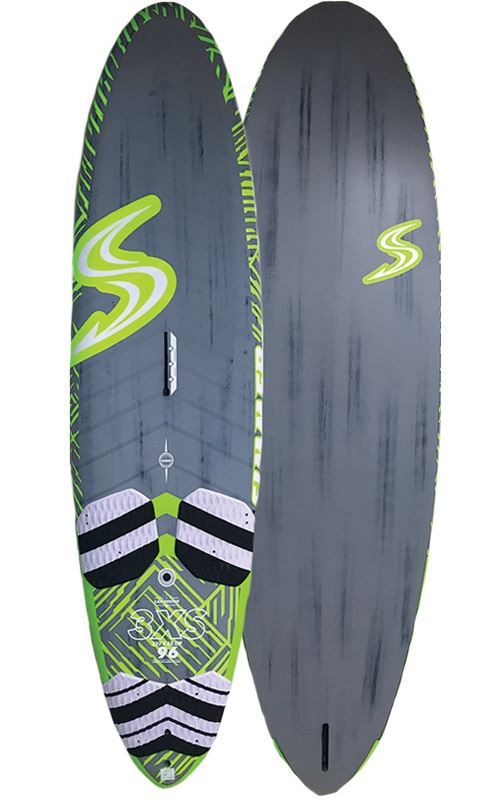 - Less tail cut-out on the 96 L to create a balanced lift in all conditions. - Progressive V-hull, with a climax of the V at the middle. 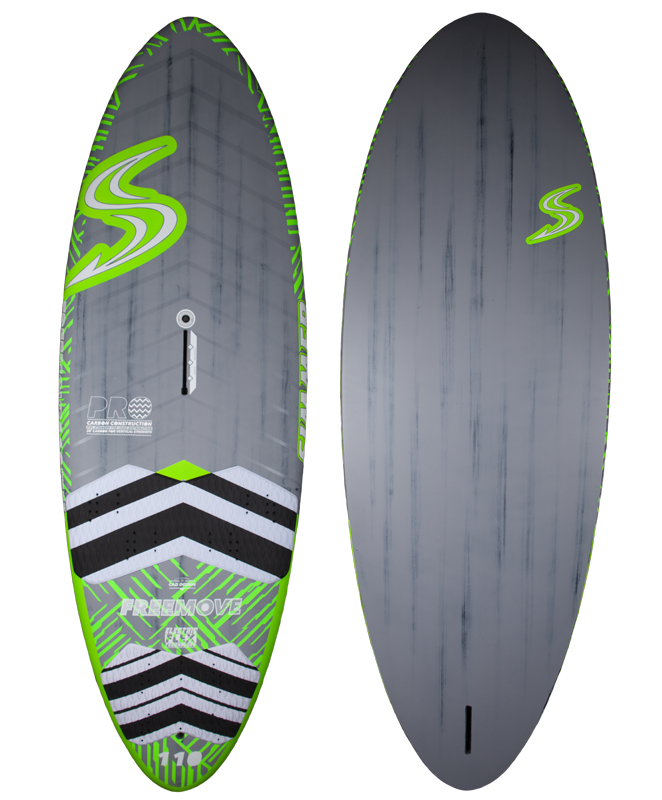 - Parallel rails in the middle of the outline for maximum speed and a narrow tail for smooth gibing and high top-end speed. 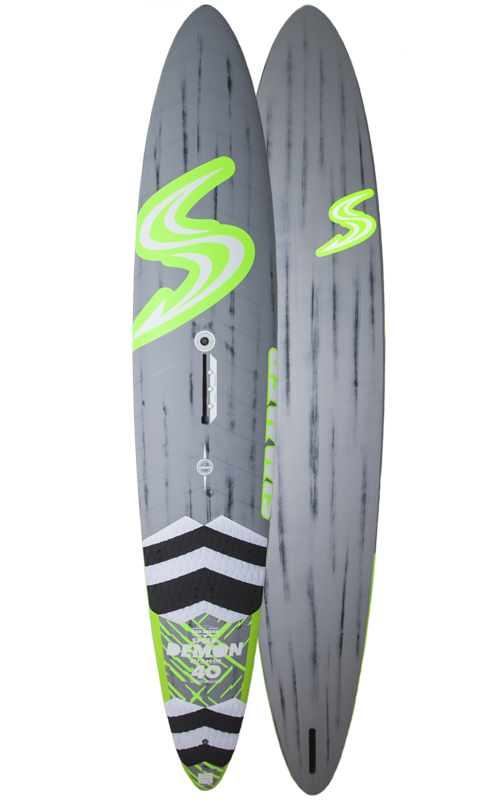 - The deck concave from the front foot. - Less section of flat rocker compared to the 96 L, this means that the rails and the tail start to work earlier. - Dual level cut-out in tail. - Less surface in the water even thou the outline is wider outline for earlier planing. 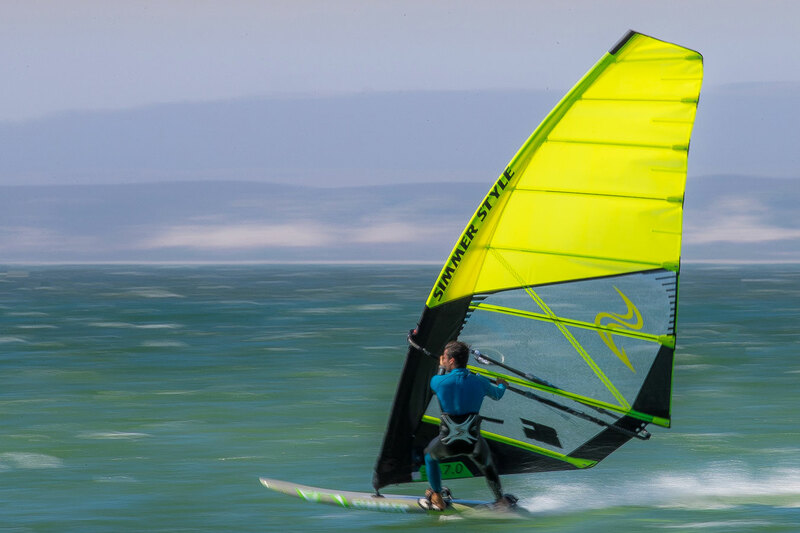 - The cut-out also allow the rider transfer all the power possible into the tail without loosing control. - Shorter and wider than the smaller sizes. 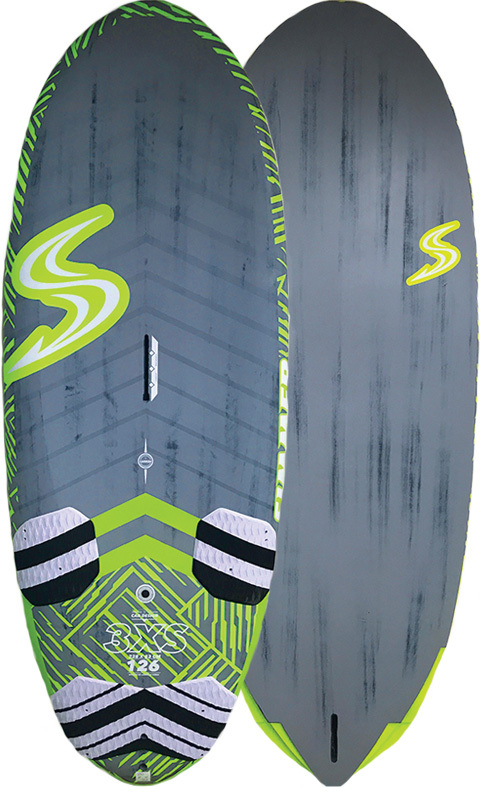 - Scoop line if flat from tail to front foot, then a smooth curve to the nose. - V-shape begins at cut-outs with a climax at the center with a deep V.
- Small winger before back foot to help exit from gybes in full speed. - Depp dual cut-out for water release.